The logic of capitalism orients all things towards valorization. Workers not working are not generating value and, likewise, “a machine which is not active in the labor process is useless.”  That is, a machine not being worked is not working, at least properly, in industrial manufacture. Time not at work is time lost. Capitalism has always understood that time off is just as essential as time on. Machines unused will fall “prey to the destructive power of natural processes. Iron rusts; wood rots…[and so] living labor must seize on these things, awaken them from the dead, change them from merely possible into real and effective use values.”  Without labor, even the utility of the most advanced machine is negated. In a perfectly productive world, well-integrated machines would align with diverse and innumerable laborers in perpetual activity. 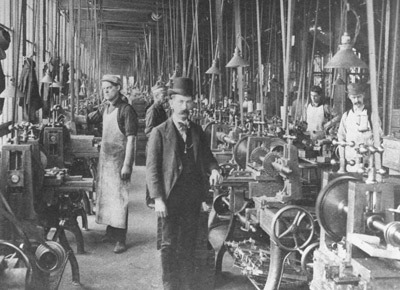 Machines, which had abolished “the role of the handicraftsman as the regulating principle of social production,” assert themselves as that very same regulating principle, rising to prominence in the realms of economic, industrial, and social production. All said, machinery occupies a vital position to not only capitalism and its functioning but to humanity; it is created by, interacts with, shapes, and is shaped by humans and their labor at every turn.